Yes, BHL has gone Global! 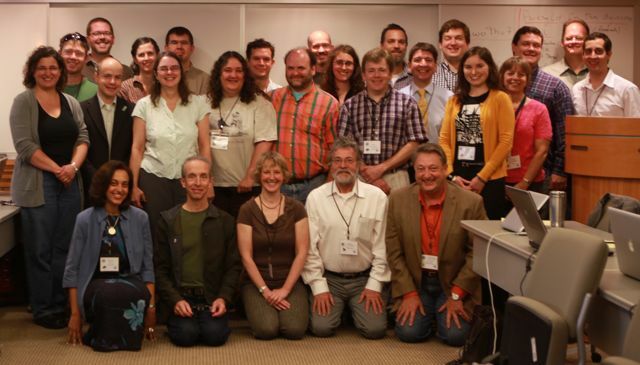 September 22 to 24, in Woods Hole, Massachusetts, took place the Global BHL Technical Meeting, it was the very first time all signed and prospective BHL partners were going to be together at such meeting. There were representatives from all over the world, including Australia, Brazil, Egypt, Europe and the US; unfortunately our colleagues from China were unable to make it. We had a very productive meeting to know each other and present each other’s work in order to describe priorities and requirements for a Global BHL. Book of the Week: Salad and…Snails? Are those snails in your salad? Apparently this is the question that our book of the week, The Field and Garden Vegetables of America, suggests that dinner guests will ask their host or hostess should Medicago obicularis be playfully added to the plate. 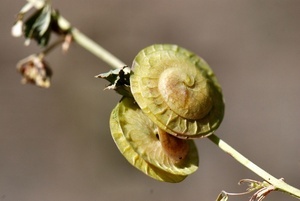 However, rest assured, Medicago obicularis, more commonly known as Button Clover or Button Medick, will not threaten to ooze snail slime all over the salad greens. It is no secret that the Biodiversity Heritage Library project has grown on a global scale, with BHL projects springing up in Europe, China, Australia, Brazil, and Egypt. Many of our new partners rely of the experience of BHL-US, as the original BHL project has come to be known, for insight and suggestions. One such partner is BHL-Europe, and a recent BHL-EU meeting in London proved to be a valuable opportunity to not only allow our European partners to gather and discuss various technical and workflow issues, but also to allow representatives from BHL-US to provide input based on our experience. BHL “Classic” as we often refer to ourselves, is pleased to introduce our latest global partner, BHL SciELO, from Brazil. Launched December 1st, 2010 in a public event at the Museum of Zoology of the University of Sao Paulo, BHL Brazil is implemented by the Scientific Electronic Library (SciELO) Program. 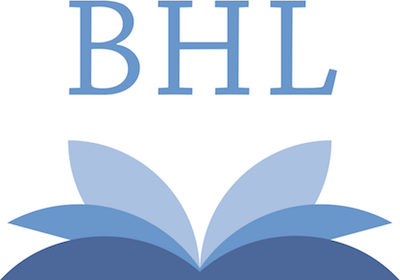 Sharing BHL’s open access practices, they maintain an online multidisciplinary collection of quality journals which will total more than 700 titles by the end of this year.